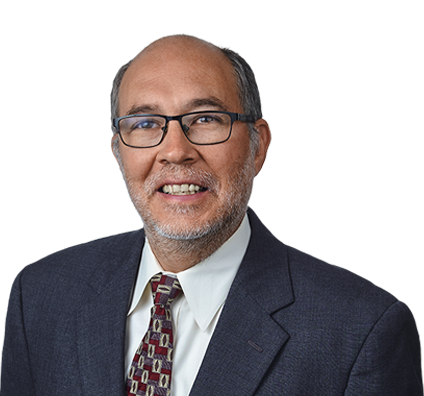 Mike practices in the area of intellectual property with a focus on patent issues relating to biotechnology, medical, pharmaceutical and chemical technology. With degrees in biology, biochemistry and law, Mike brings considerable knowledge and unique perspectives to the services he provides. Mike has 12 years experience working in medical and academic laboratories and biotechnology companies. He has authored multiple scientific articles and has presented his work at numerous scientific meetings. After completing his bachelor’s degree, Mike attended graduate school at the University of California in San Francisco. Mike’s doctoral thesis focused on the mechanism of transcriptional regulation by steroid hormone receptors, including the estrogen receptor and the androgen receptor. After completing his thesis, Mike took a position with an intellectual property law firm in Washington, D.C. Later, Mike joined an early-stage biotechnology company developing noninvasive diagnostic tests. At the company, Mike was responsible for managing and developing the patent portfolio and was involved with many other aspects of the company, including ensuring compliance with the Clinical Laboratory Inspection Act, organizing and supervising clinical trials, fundraising, preparing grant proposals and managing the laboratory staff. Prepared and prosecuted patent applications for inventions in a variety of fields, including molecular and cellular biology, biochemistry, genomics, gene therapy, stem cells, recombinant DNA technologies, transgenics, vaccine development, cancer therapeutics, pharmaceuticals and prenatal diagnostics. Evaluated technology to assess patentability and valuation. Prepared and negotiated biotechnology-related agreements, including clinical research agreements, noncompete agreements and confidentiality agreements.